I did a dumb thing yesterday — well, one in particular that relates to this post. In preparation for teaching a course in food writing at the Tucson JCC, I asked members of an online food writer’s forum to suggest reading matter. It’s not that I didn’t have my own ideas, but one of the great things about teaching is what you learn from it. I figured it couldn’t hurt to get more input. We carry our stories to the table and to every narrative we read and create. No matter what [MFK] Fisher feasted on, she savored with humility, authenticity, and humor. The crux of her work was how to prepare and enjoy meals during wartime. Approachable and honest, she recognized both the paradox and necessity of savoring against the backdrop of scarcity. For Fisher, every food held the potential to taste exquisite: scrambled eggs seasoned with “grated cheese, herbs [or] whatnot, if desired,” cracklings, anything that was able to keep the wolf of hunger at bay and transform cooking on a strict budget into a broader celebration of life. That’s what I love about MFK Fisher too — humility, authenticity, and humor. I can’t expect everyone to write humorously (though it would be crazy wonderful), but I’m aiming for the first two out of three. No food snobbery will be tolerated. I made the mistake of mentioning on the forum that I don’t cook. That’s not entirely accurate — I microwave a mean casserole from disparate fresh frozen ingredients — but my regular oven hasn’t been turned on since…well, I don’t remember. I’m privileged to get to write about Tucson’s wonderful restaurants and chefs and I love eating at the houses of friends who actually enjoy preparing food. I have two blogs in addition to this one. 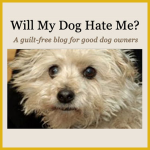 The canine-related one, Will My Dog Hate Me, is subtitled “A Guilt-Free Zone for Good Dog Owners.” My class will similarly strive to be guilt free. 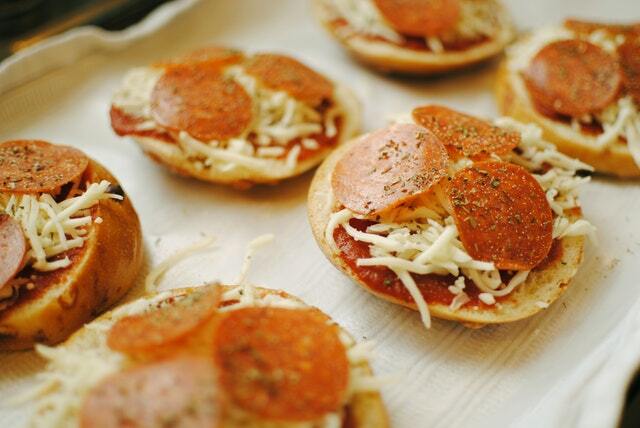 Students will never have to apologize to me for eating cereal for dinner, pizza (hot or cold) for breakfast, or for frequenting fast food chains when needed. Humility and authenticity. I was advised by one member of the forum to get a local food writer to talk to the class. That would be me. In addition to writing for many national publications, I’m the Contributing Dining Editor for Tucson Guide and a regular contributor to Edible Baja Arizona and Tucson Foodie (click on the publication titles for examples of my latest pieces. If you noticed a meat theme in two out of three pieces, that’s because meat is in my blood — and I’m not talking cholesterol. 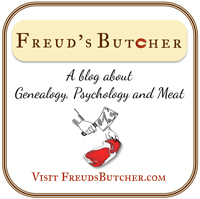 My great uncle was Sigmund Freud’s butcher (that’s blog No. 3). 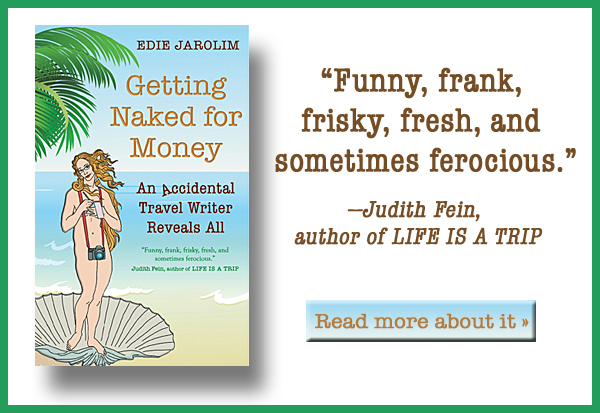 As to how I came to food writing — with a hint of why I don’t enjoy cooking — you can read an excerpt from GETTING NAKED FOR MONEY that details my veal parmigiana epiphany. I bristle when people say “this book is great” in a pompous tone that brooks no dissent. I couldn’t get past the first 50 pages of David Foster Wallace’s Infinite Jest but I’ve been told this makes me illiterate. Or something. I want to know why people enjoy a book or an author — or don’t. Calvin Trillin was described as the “Walt Whitman of American Eats” by Craig Claiborne. I never thought Walt Whitman was very funny; Trillin is hilarious. A great three-fer of his early works, American Fried, Alice, Let’s Eat, and Third Helpings, is collected in The Tummy Trilogy. Ruth Reichl was the longtime food critic for the New York Times. Her first food memoir, Tender at the Bone, is still my favorite, but I also highly recommend Comfort Me with Apples and Garlic and Sapphires. MFK Fisher (see description above). Her greatest hits are collected in The Art of Eating, a hefty 784 pages but worth its weight in…choose your favorite food. Anthony Bourdain is definitely a bit macho but his Kitchen Confidential changed my restaurant habits. I never order fish on Monday. Michael Twitty is a food historian whose work I got acquainted with via Freud’s Butcher, which relates to Jewish genealogy. I just ordered his The Cooking Gene and his blog is AfroCulinaria. Hal Herzog is a scientist as well as a food philosopher/ethicist, along the lines of Michael Pollan but, to me, his writing is more riveting. His Some We Love, Some We Hate, Some We Eat made me think about our relation to animals in a different light (though as you might have surmised, I’m not a vegetarian). Full disclosure: I’m an Amazon Associate. Buy any of the above-cited books through links posted here and I get a few pennies. Jonathan Gold, most often to be found at the L.A. Times, deserves his Pulitzer Prize. Here’s his take on a very high end restaurant; here’s one of The Olive Garden. Also, don’t miss the documentary made about him, City of Gold. One of the food forum participants recommended this article, The Real American Pie. It’s a prime example of delightfully geeky (emphasis on delightful) food history. The suggestion of authors from the forum that came up most often were Lori Colwin, Gabrielle Hamilton, Tamar Adler, Tejai Rao. I have read Lori Colwin’s novels and am crazy about them but have not approached her food books because they’re recipe oriented and (ahem) I DON’T COOK. Claudia Roden for exquisite writing but also why in-depth, on the ground anthropological research is still so important. Jeffrey Steingarten for an example of how one can play with the format of the food essay. Buford’s Heat, for voice and reporting. I found Hamilton’s Blood and Bones flawed, but have always enjoyed her essays. Plus non-food writers writing on food — David Foster Wallace, Roald Dahl, and I am SURE Zadie Smith has something. Amanda Hesser, Molly O’Nell, Ruth Reichl, Francis Lam, Sam Sifton, Keith Pandolfi, as examples of how you keep an idea fresh week after week. Lastly, I have found much to love in Eater’s former column, Life in Chains; Michael Procopio’s blog, “Food for the Thoughtless” (why as a blogger it does help to be stringent with editing and copy); and Caroline Campion/Kathleen Brennan (Keepers) and Melissa Hamilton/Christopher Hirsheimer (Canal House) as examples of truly literate pros who have gone into “accessible” books. This was off the top of her head. I offered to let her teach my class since she was clearly better prepared than I was. Interesting article. I would say that all food writers fall into two basic categories: i) literary, ii) journalistic/technical/topical. 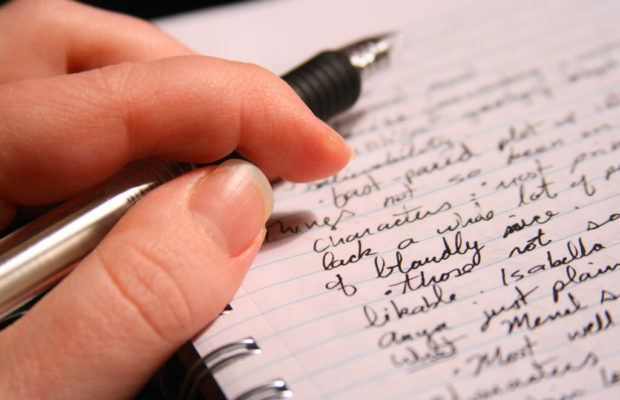 Each type of writing is valid, each necessary. Some writers cover both areas, Elizabeth David, say, the greatest food writer of the 20th century in my view. Of those you mention I hardly know more than half. Of those, I agree with most suggestions but inevitably personal taste obtrudes. I like a Steingarten, Reichl, Sifton and especially Pete Wells but Francis Lam not so much, or Calvin Trillin. And I always found M.F.K. dull, or Patience Gray, say, but that’s me. Names I would add to this list, and they tend to the literary side, are Elizabeth David, Jane Grigson, the Erasmus Prize-winning Alan Davidson, and X-Marcel Boulestin, one of David’s influences. Lieutenant-Colonel Nathaniel Newnham-David going back to c. 1900 and another David influence, was an extremely knowledgeable and witty writer. More on the journalistic or technical side although his memoirs are deeper, is James Beard, essential reading certainly for the historical perspective, as is much of Julia Child. Oddly perhaps the “Mastering…” volumes seem least important today, it’s her food programs and 1970s regional or informal food writing that will endure, I think. It’s all a subjective thing, and I guess inevitably one’s generation and cultural influences have a decided influence, but these are my comments for what it’s worth. P.S. The late Alan Davidson didn’t cook except, if memory serves, to make Seville orange marmalade. Thanks for weighing in, Gary. Your comments are worth a great deal. I have never read Elizabeth David but will check out her work. Clearly I’ll have to read Alan Davidson too, since he is a man after my own heart. Seville orange marmalade is worth breaking a general rule against cooking.